With Regent Seven Seas Cruises, your guests relax from the moment they start their journey. They'll stretch out as they fly to the Caribbean with Regent Seven Seas Cruises this winter. All-inclusive style begins from the moment they leave home with priority check in and boarding, extra leg room, wider seats with greater recline, power supply for electronic devices, attentive service and so much more. 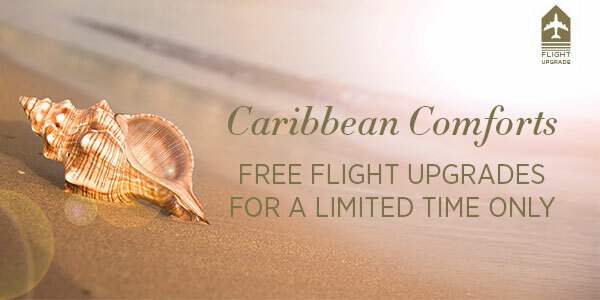 FREE flight upgrades to Premium Economy are available on selected Caribbean sailings aboard Seven Seas Voyager. There's even an increased baggage allowance, so your guests can pack for every eventuality and free shore excurision they want to take. There has never been a better time to book, but don't delay, this offer is only available for bookings made between 1 and 30 September 2018, exclusively on selected Seven Seas Voyager Caribbean sailings. Take a four wheel drive to see St. Lucia's rugged beauty or discover Puerto Rico's diverse widllife, birds, 50 types of fern and 20 varieties of wild orchid. 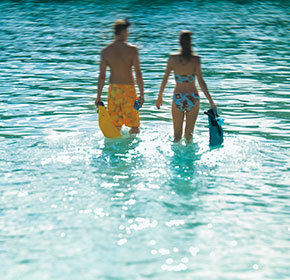 See magnificent Mayan ruins or meet stingrays in the Bahamas - the choice is yours. *A deposit of 10% of the cruise fare is required for all bookings made by 30 September 2018. This offer is not applicable to Seven Seas Splendor, World Cruise or Regent Suite bookings. Prices are per person based on 2 guests sharing and include all-inclusive cruise, return economy flights (or Business Class flights to Europe in Penthouse Suites & above), transfers and 1-night pre-cruise hotel stay (B&B basis) in Concierge Suites and above. Air supplements may apply. 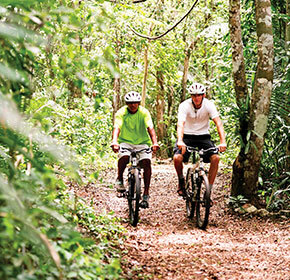 Free unlimited shore excursions are capacity controlled, and on first-come first-served basis. Spa, internet, casino, laundry and telephone costs are not included in all-inclusive fare. Offers are open to new bookings only. All fares, flights, flight upgrades, free pre-cruise hotel package and excursions are subject to availability and may be withdrawn or changed at any time. Regent reserves the right to correct errors or omissions at anytime. Further terms and conditions apply please see www.rssc.com © 2018 Regent Seven Seas Cruises. Visit the following link if you wish to unsubscribe.